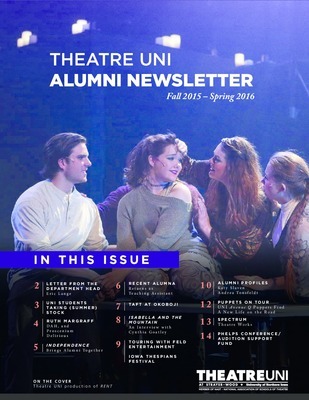 The Theatre UNI Alumni Newsletter was a publication highlighting the people and activities of the University of Northern Iowa Department of Theatre. University of Northern Iowa. Department of Theatre.